Table Rock Lake is a favorite spot of locals and visitors alike who want to enjoy great outdoor activities in Branson. In this beautiful vacation destination, it’s great to experience afternoon cookout and spend a wonderful time with the family and enjoy the food and the relaxing atmosphere in a secluded place. With the vast area of 50,000 acres, it’s easy for you to find clean and crystal clear waters on the pristine lake to enjoy boating, fishing, swimming, scuba diving, tubing, wakeboarding, and camping with a cookout and more. You will also find scenic spots around the lake that are easily accessible such as the beautiful shoreline and spectacular rolling hills of the Ozark mountain. Table Rock Lake is also a perfect place to experience a heart-pumping water activity on the water, flyboarding. This thrilling water activity is one of the newest attractions on the lake where you can surf the sky with a special board that is strapped to your feet (much like a wake board) and sends you up into the air propelled by jets of water. Flyboard is pretty easy to maneuver and offers tons of fun. Parasailing is another great water activity that you can enjoy on the lake without getting wet. Parasailing has been a favorite water activity among water enthusiasts for nearly 20 years. When you join American Parasail, you’ll enjoy a wonderful voyage across the lake as you soar 250 feet into the air, dangling from a parachute and watching scenic spots around the lake. For added thrills, it’s wonderful to set sail during spring break as you get to see new blooms of flowers and plants. Aside from enjoying great water activities on the lake, there are lots of lakeside activities that you can enjoy in the area such as taking a picnic, horseback riding, mountain biking or spend a leisure walk down the trails. When you are enjoying a picnic or camping with the whole family, you can sit around the campfire singing and exchanging stories. If you brought grills with ready to cook meats, you can enjoy a great time if you cook delicious barbecue. Aside from enjoying a satisfying barbecue or hot dogs, you will also find it fun to experience star-gazing on a dark night. After you have enjoyed great outdoor activities in Branson and well-rested in a cozy cabin accommodation at Thousand Hills, you may prepare to go back again to the water. So, you need to load up some snack foods and other boat gears at some public marinas on the lake and head on to What’s Up Dock to rent a ski boat or any kind of boat you prefer to ride. You can choose from Table Rock Lake Pontoon and Five Star Houseboat Vacations. 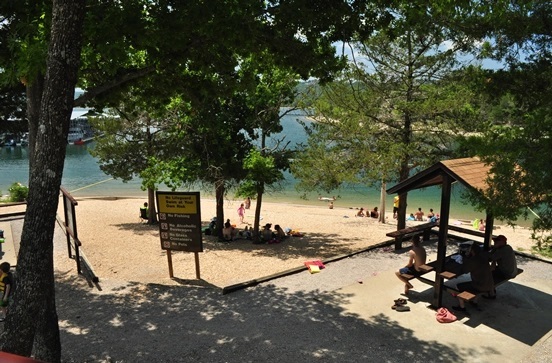 So, if you want to experience a wonderful vacation this spring break, visit Table Rock Lake as this favorite vacation spot offers great outdoor activities that allow you to enjoy afternoon cookout in a calm environment.